You know the holiday season is near when major ecommerce platforms start publicizing new features. Amazon recently announced some improvements for their Twitter integration features. In addition to being able to add Amazon items to a shopper’s cart from Twitter, the newest feature will allow Twitter users to add things to their Wish List. Arriving just in time for the holidays, this new feature gives marketers new ways to integrate social media into their holiday marketing campaigns. A few months ago, Amazon introduced a feature that allowed customers to add items to their Amazon cart by using the hashtag #AmazonCart. This new feature works in a similar way. 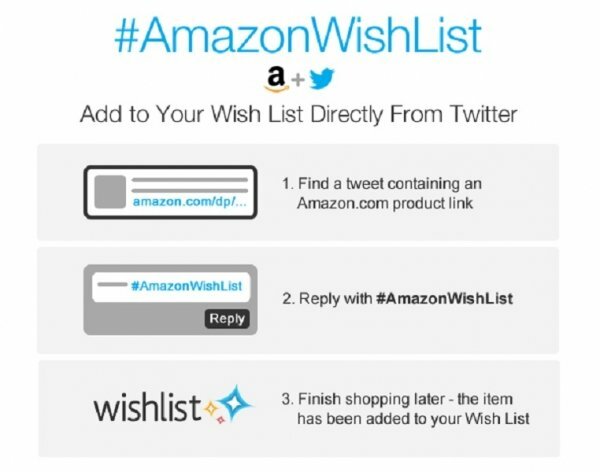 Customers can add items seen in tweets from their favorite artist, expert, brand, or friend with an Amazon.com product link by using “#AmazonWishList” to the reply on Twitter and the product is added to their Amazon Wish List. The system is extremely easy to use and requires little additional effort on the part of Amazon retailers on Twitter. All business owners need to do is use an Amazon.com product link in their tweet. When a customer uses the #AmazonWishList tag, the rest is automatic. It works just like the #AmazonCart feature. For customers who have already connected their Twitter and Amazon.com accounts, they will be notified with a reply Tweet from @MyAmazon and an email from Amazon when the item is successfully added to their Wish List. Customers who have not connected their Twitter and Amazon.com accounts will receive a reply Tweet asking them to connect their accounts to enable the new feature’. For business owners who are already using Amazon and Twitter, the easiest way to take advantage of this new feature would be to let customers know about it on ads and images they post on Twitter. By putting a small line that says, “Use #AmazonWishList to tell your friends and family this is the perfect gift” or something along those line. 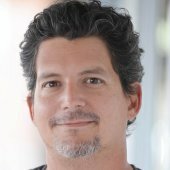 As long as people know about the feature, it will be used by some consumers. To answer a question some may be asking, yes, it is worth it to get people adding items to their Amazon Wish List. According to the company, last year, a third of Amazon’s customers worldwide used their Wish List, accounting for 50 items added to Amazon Wish Lists every second. They also note that Amazon Wish List continues to be one of the most popular places on Amazon for both online and mobile shoppers during the holidays. Amazon has also improved on the Wish List feature on it’s own. Amazon added a new Save-A-Photo feature, where customers can snap a picture of anything from anywhere and save it to their Amazon Wish List. Obviously, this feature doesn’t work with the Twitter hashtag. Customers on Twitter can only use the hashtag on posts that have an Amazon.com link. Since this is the first holiday season with this new feature, marketers won’t know for sure how popular the #AmazonWishList turns out to be until it’s too late to take advantage of it this year. Since there is such a low barrier to entry for using this feature in marketing campaigns, Amazon sellers on Twitter should seriously consider working the hashtag into their marketing campaigns. Wish lists on any sites are a good way to spread the word about products and to get people to buy things for others that they wouldn’t buy for themselves. For more information on the power of Amazon for marketers, read this article with seven recent Amazon stats that may convince you to integrate the platform into an ecommerce strategy.